It’s all too easy to forget the joys of motoring when you live in Australia’s most heavily populated city. Traffic-clogged roads, drivers glued to their phones, and toll roads that can drain your bank account faster than the fines issued by the endless 'safety' cameras all make driving in Sydney a lot less fun and a lot more frustrating. And after a working week spent enduring the slow-moving sludge that is Sydney traffic, it’s a wonder we don’t burn our car keys in protest, rather than simply park up for 48 hours. Lucky, then, it’s easy to reignite your love for driving, and it’s as simple as getting the hell out of the city every now and again. Easier still, Sydney city just so happens to be within easy driving distance of some of the country’s best destinations. From the mountains to the sea and everything in between, NSW has got plenty to offer. And so, for your driving pleasure, we’ve narrowed the broad list down to our top-five road trips. 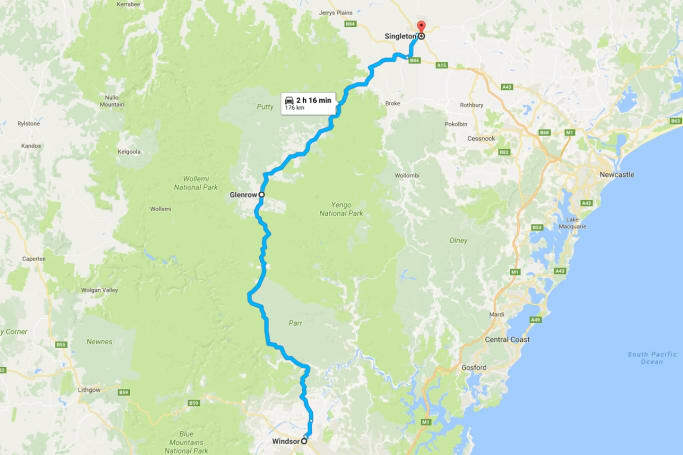 We begin with our easiest drive, a simple day trip from Sydney that will carry you north from the city to one of the finest ribbons of bitumen our city has to offer. The tiny town of Brooklyn, about mid-way between the city and the Central Coast, is nestled on the banks of the stunning Hawkesbury River. Better still, it's home to what might be Australia’s best fish and chips, courtesy of the good folks at Life Boat Seafoods, who have been grilling to-die-for fish and perfectly fried chips for generations. But both the town and the menu pale when compared to the road you'll take to get there. Brooklyn, you see, is smack-bang in the middle of one the city’s great driving roads, the Old Pacific Highway (or the 'Old Road' to the hundreds of drivers, riders and cyclists that make the pilgrimage there every weekend). Jump onto the F1 freeway at Wahroonga and look out for the Berowra exit, which will guide you to the much quieter Old Road. The tiny turn off for Brooklyn is located just before the entrance to the old Mooney Mooney bridge. But you won't take it straight away. Trust us, you'll want to soak in a few runs of the Old Road first. Now you’re warmed up with the easy Brooklyn day trip, it’s time to tackle something a little more taxing. The town of Mudgee is one of the state’s best kept secrets; a wine-soaked village that’s filled with sensational food, stunning country vistas and some of our most underrated vineyards. 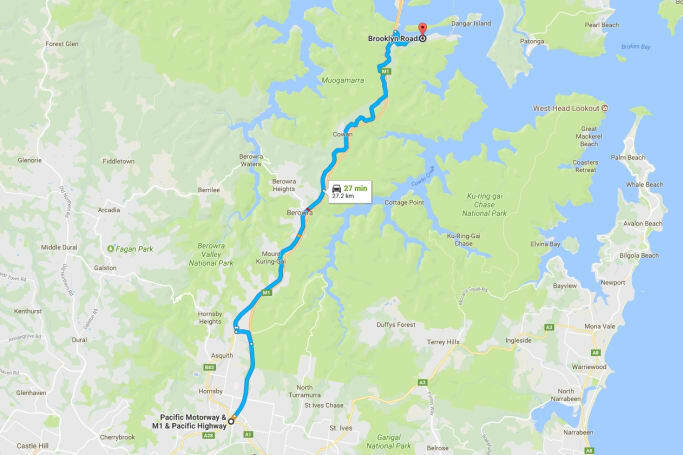 The best way to get there is track to the end of the M4 Motorway (that’s the bad part), but your journey improves considerably once you begin the climb from the Penrith into the beautiful Blue Mountains. 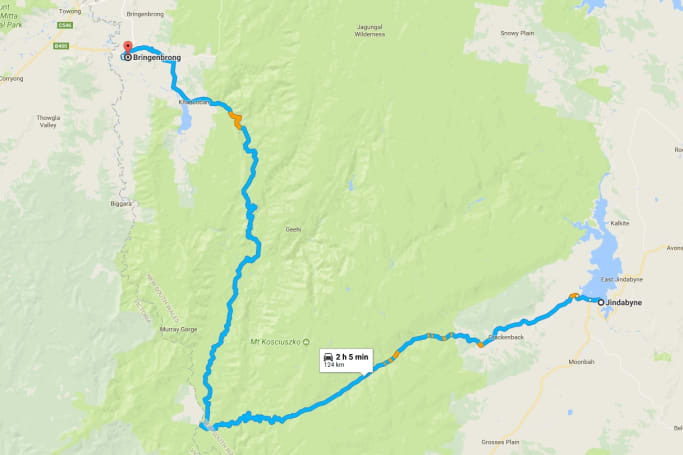 It can be slow going up and over the mountains, but with National Park vistas around every corner and over every crest, you genuinely don’t want to be going any faster. The road levels past Lithgow as you join the Castlereagh Highway, which carves its way through working farms and fields filled with grazing cattle and sheep, carrying you all the way to picturesque Mudgee. The only thing left to do now is find a good bottle of red and settle in for the night. 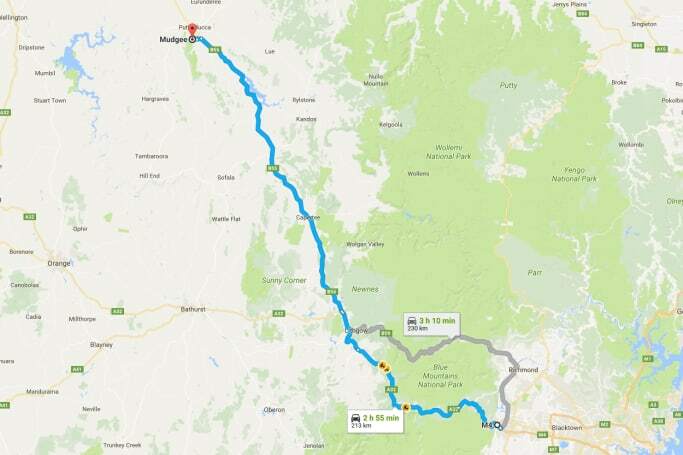 Sure, this one means putting a few extra kilometres under your wheels, but the pay-off is the one-two punch of the stunning mountain vistas and sublime twisting tarmac of the NSW alps. You can start this impossibly beautiful road trip in the winter wonderland (and one of summer's hidden gems) of Jindabyne; a lake-front village that's framed by the towering Snowy Mountains. Head up from here and you’ll pass Crackenback and Thredbo, the snow gums closing in on the road as you climb higher and higher. It's not uncommon to see herds of wild brumbies running alongside the road here. And, occasionally, on the road itself, which means you should keep your wits about you. The downhill stretch to Khancoban is a true driver's delight, but it's near impossible to find a bad road in these parts. Or a bad view, for that matter. One of the state's best driving roads, the legendary (and we don't use that term lightly) Putty Road stretches 177km from Windsor to Singleton, from which the wine-rich Hunter Valley is but a short hop away. Bordered by two beautiful national parks, the Putty Road is a breathtaking example of tree-lined bliss, offering a seemingly endless variety of twists and turns, served up one after the other, the sweet sounds of exhaust echoing through the valleys as you journey along it. The road slowly builds its challenges, too, with the gentle sweeping bends near Windsor eventually giving way to 35km of tight, twisting turns that mark the final run into Singleton. It’s the road that has starred in more Australian TV commercials than that bloke from The Castle, and with good reason. The 665-metre Sea Cliff Bridge rises from the ocean near Stanwell Park, framed on one side by the endless expanse of the Pacific and by a sheer cliff wall on the other - with the latter perfect for bouncing the rich note of your exhaust back into the cabin. But this postcard-perfect bridge is just part of a journey that begins in Australia's oldest park, The Royal National Park, which you will enter near Kirrawee, in Sydney's south. Inside, a twisting road cut through thick, old-growth forest awaits, with the trees occasionally giving way to stunning ocean views as you near the top of the park. 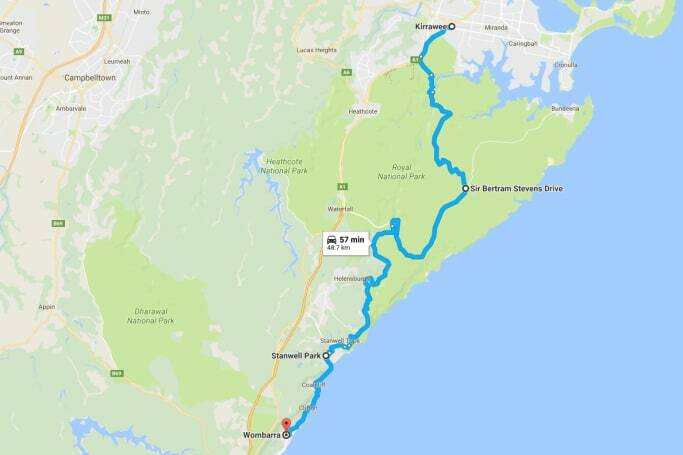 Eventually, you'll find yourself deposited in Stanwell Park, just in time for a couple of laps of one of Sydney's prettiest bridges.